I don’t know how many times I’ve randomly thrown all and sundry under the bed while preparing for a camping trip. The end result is a hodgepodge of gear that resembles a dog’s breakfast! And I can always bet that the item I require first on setting up at the campsite will be at the bottom of the mishmash. 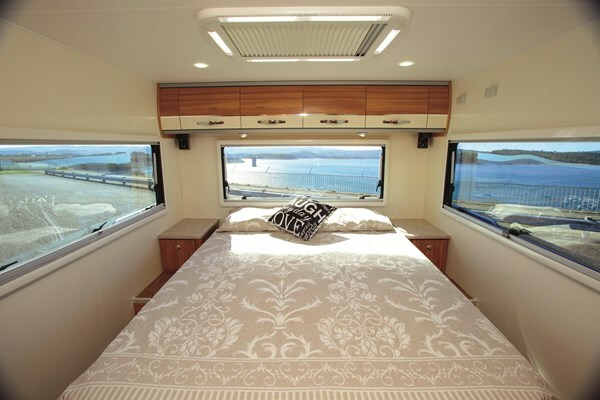 But no longer after recently witnessing a DIY fitment of under-bed dividers that has put a smile on the dial of this haphazard traveller. NB. 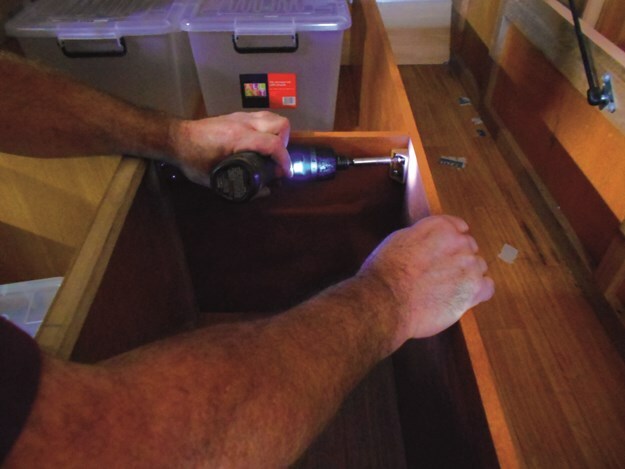 These images and step-by-step captions depict the simplicity of this installation of under-bed dividers performed by The RV Repair Centre foreman, Paul Hewat, in Bayswater (Vic). STEP 1: Before attempting to place dividers under your bed we suggest that you obtain the boxes suitable for your items. This could be a selection of various sizes as shown in this image. Keep in mind that the height of the boxes must be below the mattress base fame. 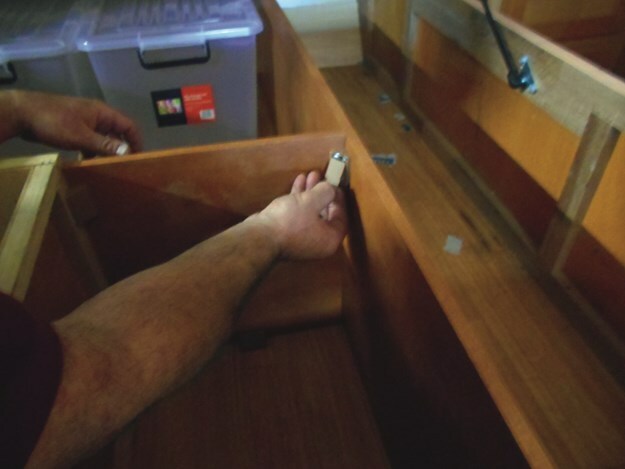 STEP 2: Place the storage boxes under the bed and move them around to obtain the best fit taking into consideration other items you may want to store, such as the TV antenna in this image. 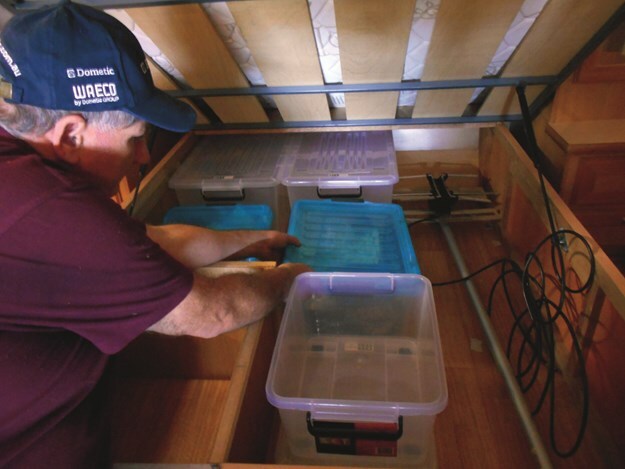 Handy hint: Place the storage boxes you intend to use more often at the easiest location. 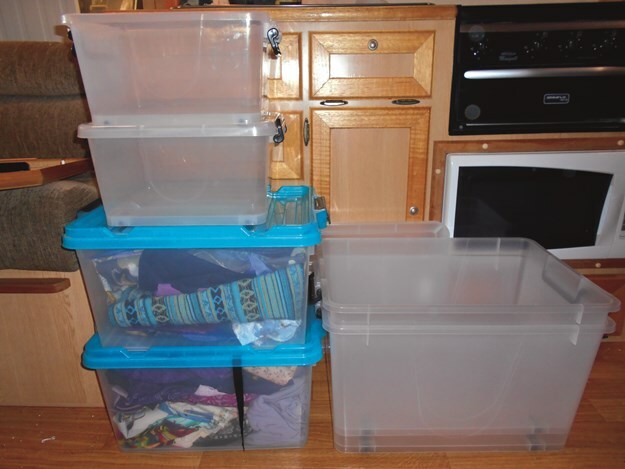 STEP 3: Now that you have placed the storage boxes in the appropriate location commence measuring off the area. Handy hint: Commence with the long sections as these may require bracing supports. STEP 4: Purchase a sheet of veneer in the same or similar colour to that of your bed frame and measure off as shown within this image. 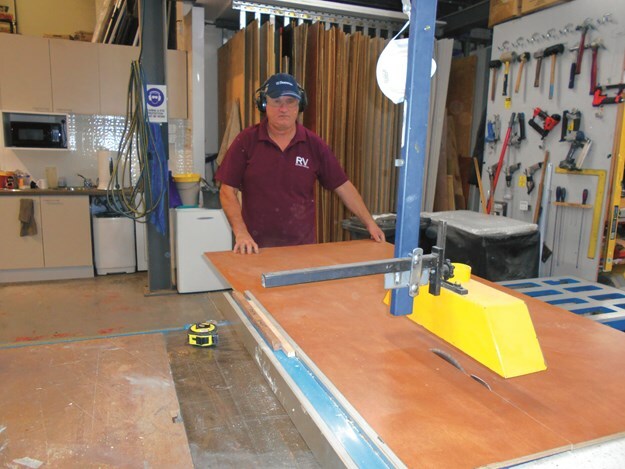 Veneer sheets are available from most RV parts suppliers. STEP 5: Using a bench saw is easy for us, however, any saw will do the job. It’s the accuracy of the cut that is important. 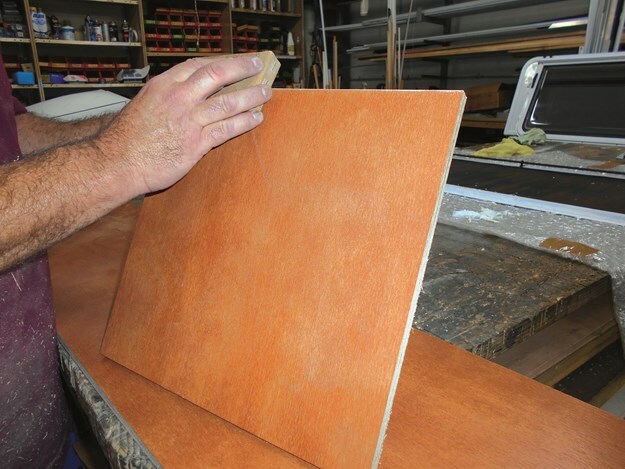 Handy hint: If the veneer sheet that you have purchased has a formed/ fitted edge, face this to the top. 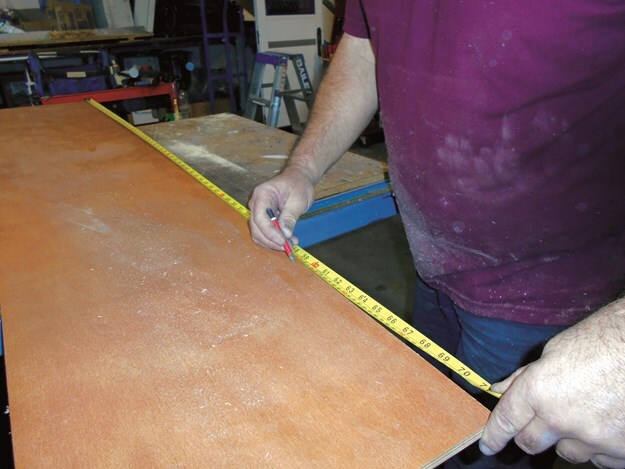 STEP 6: After cutting each divider, use fine sandpaper to bevel the edges as shown. STEP 7: With all the dividing sheets cut to size, trial fit completed, and edge tape installed where required it’s time to mark the sheet and install the plastic mounting blocks. Handy hint: Place the mounting blocks at 200mm spacing. 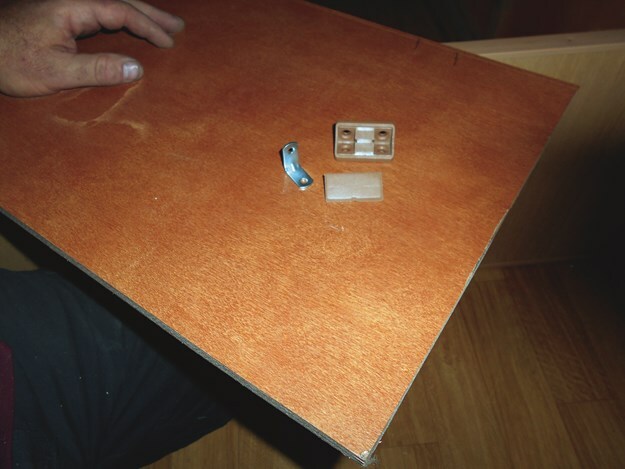 STEP 8: Mount the mounting block to the side of the dividing sheet that is destined to be placed on the floor first and ensure it’s flush with the edge as shown within this image. 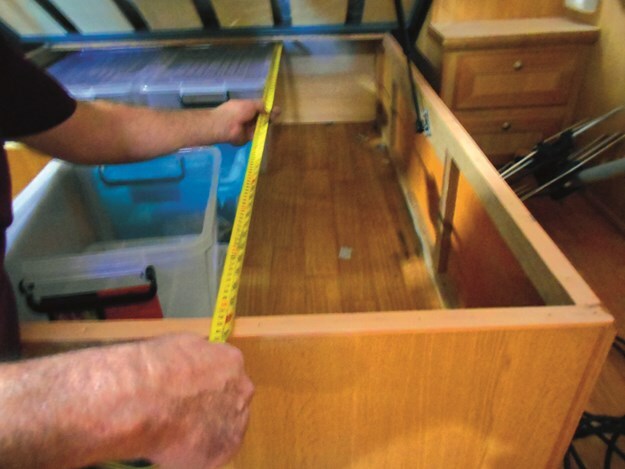 STEP 9: Place dividers under the bed, square off and secure the mounting blocks to the existing bed base and floor.. 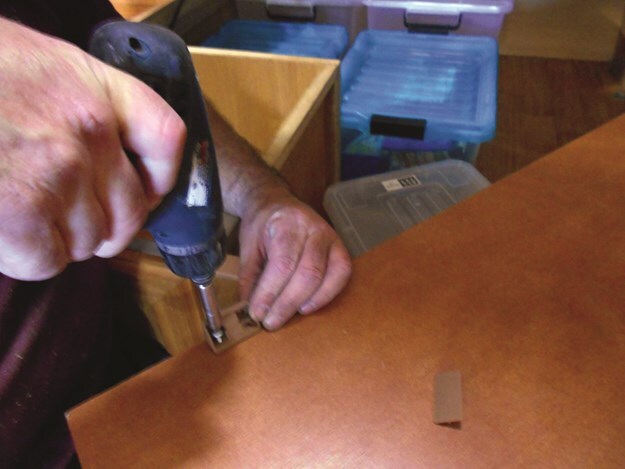 STEP 10: Once the screws are in place, use a snap cap to cover the screws as shown. 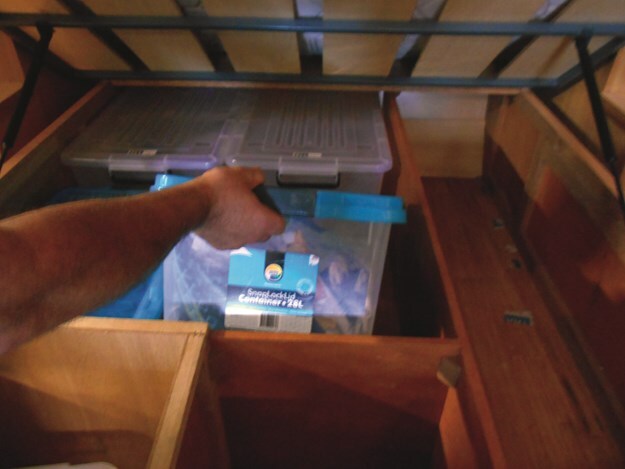 STEP 11: With the dividers now secured, place the storage boxes under the bed as shown. 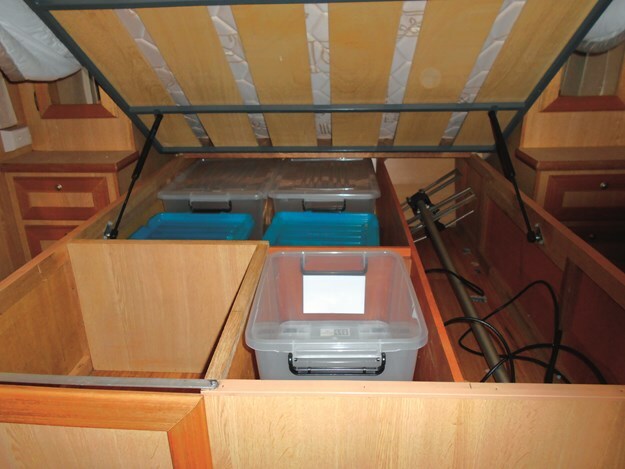 STEP 12: With the storage boxes in place and the TV antenna within its own cavity you’re ready to go.